Before she started filming Edward Snowden for her Oscar-winning documentary CITIZENFOUR, director Laura Poitras was busy with another controversial (though admittedly less likable) leaker living in exile: Julian Assange. Poitras has been working on a documentary about the Wikileaks founder since at least 2012; in fact, it was an early outtake, posted to The New York Times website, that led Snowden to contact the documentarian. Now it seems as though the long-in-the-works project is nearing completion. 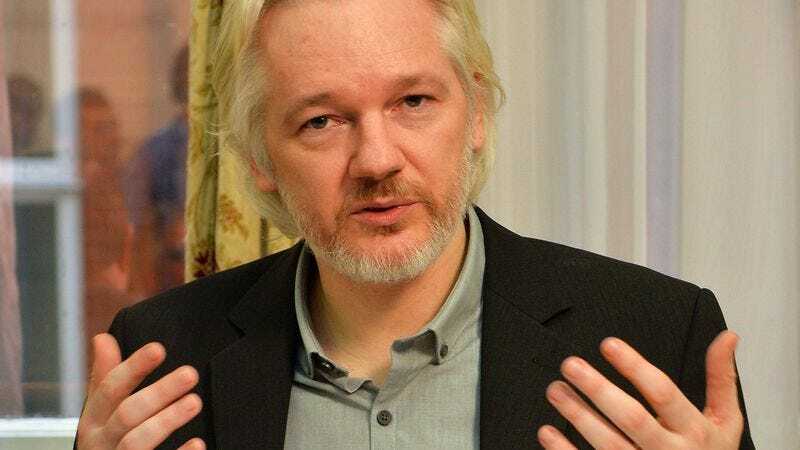 Asylum—which takes the form of a series, shot at Assange’s current residence at the Embassy of Ecuador in London—will be getting its world premiere at next month’s New York Film Festival. It’s one of several high-profile surprise projects that have been announced for the festival in recent weeks; on Friday, the NYFF announced that it would be screening a previously secret new film by Paul Thomas Anderson.